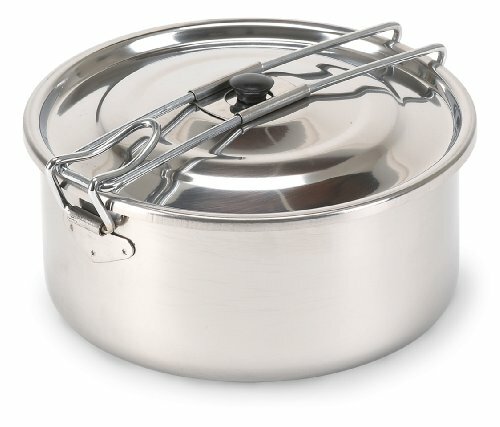 Stansport's "Solo" Stainless Steel Cook Pots feature high-quality stainless steel with a fold-away, stay-cool handle. Folding handle locks lid securely and can even be used for food storage. Safe and easy to clean. Capacity: 1 liter with 14 cm diameter. View More In Camping Cookware. If you have any questions about this product by Stansport, contact us by completing and submitting the form below. If you are looking for a specif part number, please include it with your message.